Political preferences and debates aside, many European countries are known for their cushy social benefits. Luxembourg, in particular, has distinguished itself as a family-friendly country. For starters, the income tax rate for married versus single folks is strikingly disparate. 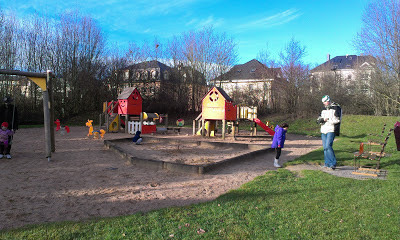 And if you've been reading here long, you know our adopted country takes great pride in its parks and playgrounds. Looking at maternity and paternity leave policies/durations as well as the direct pay-out you receive just for giving birth is enough to make any American expat couple seriously second guess their birth control plans. There are three government systems in Luxembourg from which our family benefits on a daily basis that are sure to boggle the American mind. I like to call them "The 3 Magic Cs of Luxembourg." The first has nothing to do with families, but the other two are very specific to families with kids. And a disclaimer: I'm not an expert on these systems and don't pretend to understand how they work, so my explanations are most certainly lacking as a result. Perhaps someday I will more thoroughly understand. For now, the mind continues to boggle. If your place of work does not have a cafeteria on site, you have the option of purchasing "cheque repas" (meal checks) from your employer. Cheque reaps is sort of a mash-up of Groupon and food stamps: prepaid coupons subsidized by the government. They are also called LunchPass, but despite this name, their use is not limited to buying the lunch you're supposedly missing out on at work. 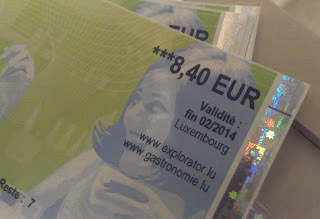 A LunchPass is a food voucher, currently worth 8.40€ a piece. (Yes, I finally looked up how to type the € symbol on my American keyboard. It only took me 8 months.) The employee contributes 2.80€ and the employer/government 5.60€ toward each pass. 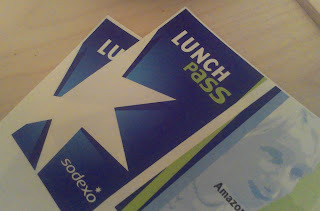 If you've signed up for the program, you receive a big stack of these 8.40€ LunchPasses totaling over 200€ at the beginning of each month, with your contribution already deducted from your paycheck. This is how it works for us, but I did look it up on the website, and this breakdown seems pretty standard from what I can tell. You may then use the cheque repas just like cash to buy groceries or restaurant meals at virtually every establishment in the country. After 8 months living here, I still hold them out sheepishly to the cashier, fully expecting to be laughed at and denied. But to my continued astonishment, the things work! Buy 4€ of food with a LunchPass, and get 4.40€ back in regular ol' change! Or pay for your whole grocery bill in cheque repas while simultaneously perfecting the art of mentally adding multiples of 8.40! As I mentioned, the program is subsidized by the Luxembourg government--that's the food stamps part--except it doesn't matter how much money you make. Everyone's entitled to the same amount. 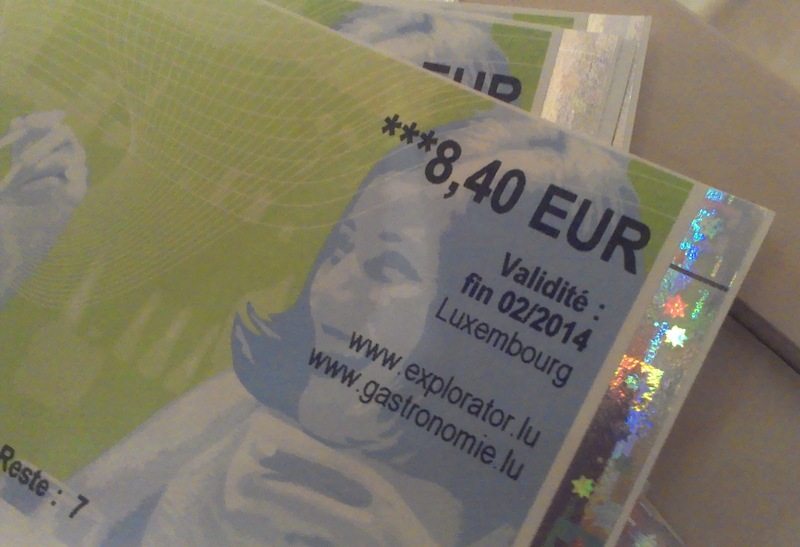 Luxembourg food stamps for all! This is money you receive from the government simply for having children in your household. Again, it's the same for everyone regardless of income. The amounts are adjusted from time to time, but we currently receive a total of over 400€ every month because we have two kids under 18. They also kick you a couple extra hundred euros at the beginning of Fall to help with purchasing school supplies, clothes, etc. I've heard that other European countries have a similar system, but that some are being phased out and that Luxembourg's allowance is particularly generous. This is the system that subsidizes childcare. With this program, everyone working in Luxembourg is entitled to at minimum 3 free hours of childcare per week. After that, the rate you pay is determined by your salary. We use this system to pay for lunchtime care at school for the kids. 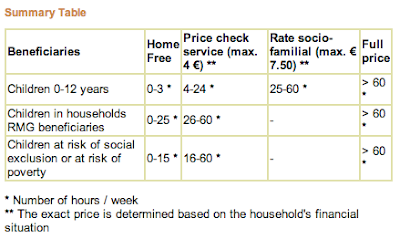 You'll see in the table below, for example, that everyone pays a maximum of 4€ per hour per child after the first free 3 hours, up to 24 hours a week. So, what do you think, Americans? Do you have a hard time wrapping your minds around this stuff like we do? I suppose at least we don't take it for granted. 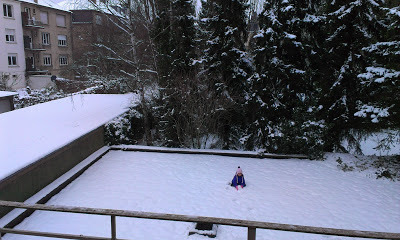 The three main pieces of news right now are: 1) We just crossed the 8-months-living-in-Lux mark, 2) Luxembourg has been covered with snow for the past couple of weeks but it sort of feels like forever, and 3) our family can't seem to all stay healthy at the same time. Okay, so the sickness thing is actually old news, but that's only because between the four of us we've been sick for about two months straight with only a few days reprieve here and there. We're just not accustomed to European germs, so we immediately catch whatever we're exposed to. I admit that despite all my pre-move research, this is not a part of the expat/immigrant life that really occurred to me until we arrived here. Or perhaps I read about it, but subconsciously discounted it because I figured we were moving somewhere "clean and posh and safe." It's been quite discouraging, as up until moving here we'd managed to stay a relatively healthy bunch. Yet I'm also extremely thankful that in the grand scheme, we're all actually very healthy and not suffering from anything life-threatening! It's just a general bummer/first-world-problem. I've heard that typically Luxembourg snow sticks around a day or two and then melts (a bit like in Portland), and that this particular round of snow is an exception. If I remember correctly, we had several inches of snow over one or two days, but then weather ended up staying well-below-freezing for a couple of weeks. We've had a few light dustings since then, but it's really just lingering from the main storm. 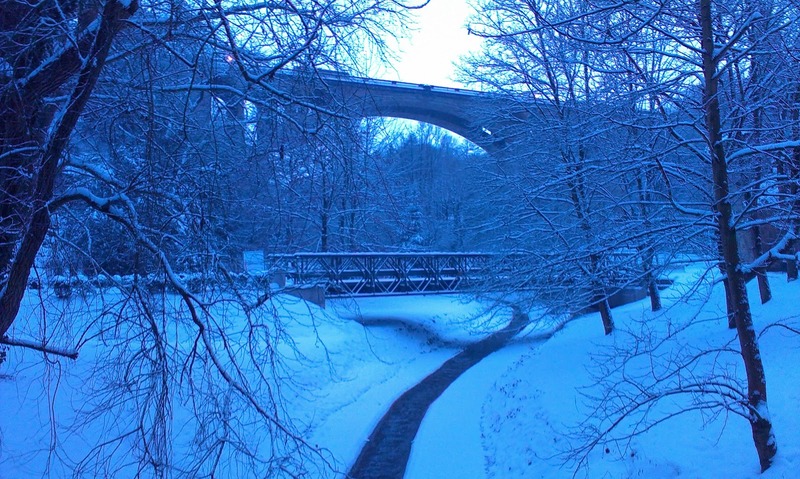 Although the city does a fairly good job of plowing and salting, road conditions have been treacherous. These are times when it's quite satisfying to be non-car-dependent. We can get to work, school, and the grocery store on foot, so this covers all our basic needs. We'd much rather walk in the snow than drive in it, and of course it's pretty. As far as I know, the local schools have not had any delays or cancelations--probably because they are neighborhood schools and everyone could walk if necessary (but I'm not sure about the teachers - I think they'd just corral a couple classes together for a bit if someone was late). 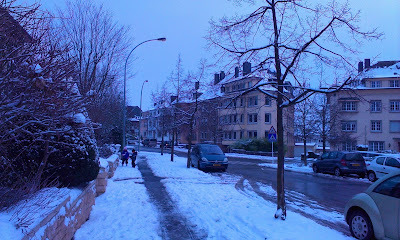 I don't know the situation for the international schools, where people drive in from all over the country. 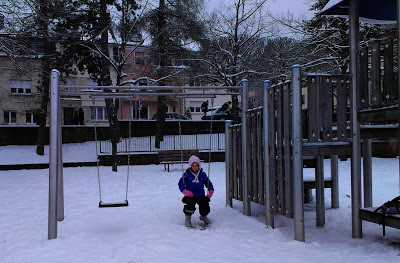 This does mean suiting up the kids in full snow gear every day for their walks to and from school. And we learned the hard way that you never know when the pre-primary kids might spend an hour or two outside in the snow, or when your first grader might decide to lie down and make a snow angel at recess. These are odd, petty little adjustments we must make, but you have to remember that this is all quite new to us because in Portland, even a little snow=no school. We've also learned the hard way that walks to and from school are hit and miss; sometimes the kids are chipper and motivated and make in under 10 minutes. Other times they are cold or tired or crying or even just stopping to kick/touch/poke every snow-covered thing along the way, and it takes more like 30 minutes. Either way, this daily routine is getting old, and we're ready to move on to above-freezing temperatures. 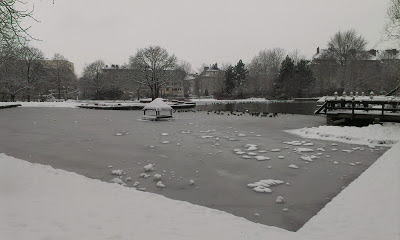 However, the forecast indicates we could be doing this for several more days. stopping to wait while they poke something. again. So let me be completely candid for a moment here. Not having a car can be a real drag, and I think it's starting to wear on me. Especially when the weather is bad and/or kids are sick or you're dragging around several instruments and/or kids in the rain and/or dark and/or freezing cold. Sometimes, and perhaps more and more as of late, I wonder if we are putting ourselves through unnecessary hardship merely because we're too cheap to live like "normal" people do. In essence, I wonder, "Wait a second--maybe we really are nuts?!?" As such, these days I'm constantly checking in with Pete to see if it's wearing on him too (and in those moments really hoping that it is). But, alas, it is not. His response goes something like this: "Look, I don't like cars. I don't like buying them, owning them, maintaining them, repairing them, fueling them, and insuring them. I don't even really like driving them. The only thing I like about them is that they are convenient. For me, that's just not a compelling reason to own one right now." And when he puts it like that, I actually completely agree with him. Ergh. However, another thing we've now agreed upon, after all our medical issues in December, is that we need to find, budget for, and occasionally use a reliable taxi service. As long as we use it sparingly, it's still much more cost effective and makes more sense than a car and all its associated expenses and hassles at this point in our lives. So, we agreed we should look into it. 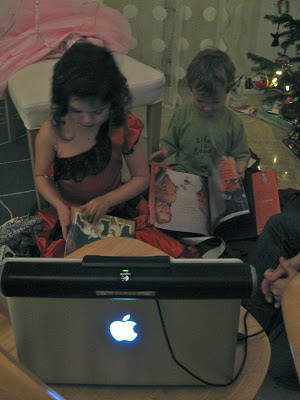 And then, of course, we procrastinated until we actually needed one in a jiffy. Because that's the way life goes, right? Fortunately the situation was not an emergency--just a bonehead mistake made by Yours Truly. 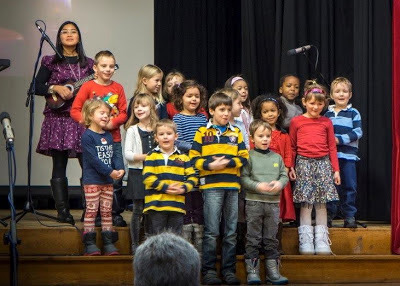 The kids set off to a schoolmate's house around the block one Saturday afternoon for a birthday party, only to discover that the party was not there. 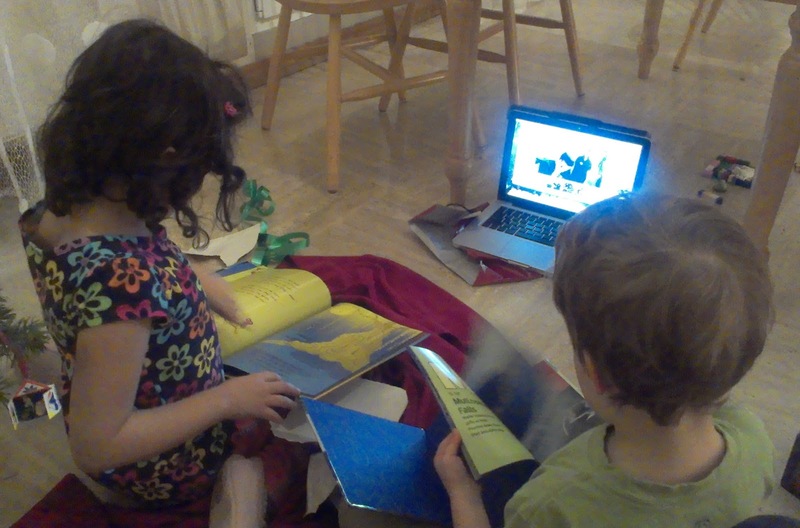 Their mother had neglected to read the invitation properly (which was in French, but that's really not an excuse). Turns out the party was at a venue WAY outside the city. 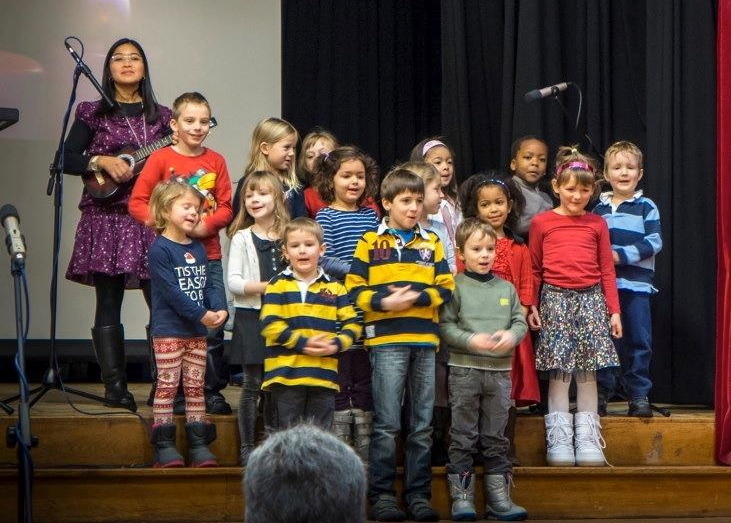 We decided we couldn't let the kids down after a tough week, and that if we'd known how far it was, there was a chance we'd have hired a taxi to begin with if we couldn't arrange a carpool. 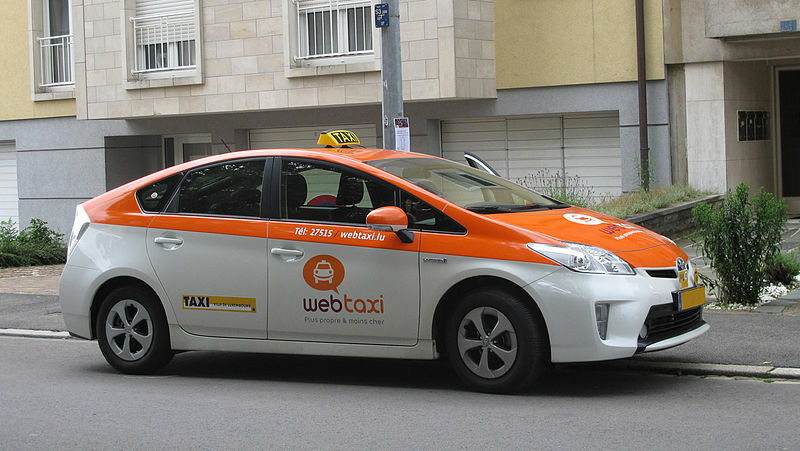 So we Googled and called webtaxi.lu, having previously spotted a couple of their little orange and white Priuses around town. Pete called them up, they told us exactly how much our trip would cost over the phone (in English), and 5 minutes later a Prius showed up at our door. Our kids weren't even the last ones to show up at the party! Since then I've also used webtaxi.lu to take Daphne and I to our joint doctor appointment when we were both feeling horrible. It was 10 Euros each way. 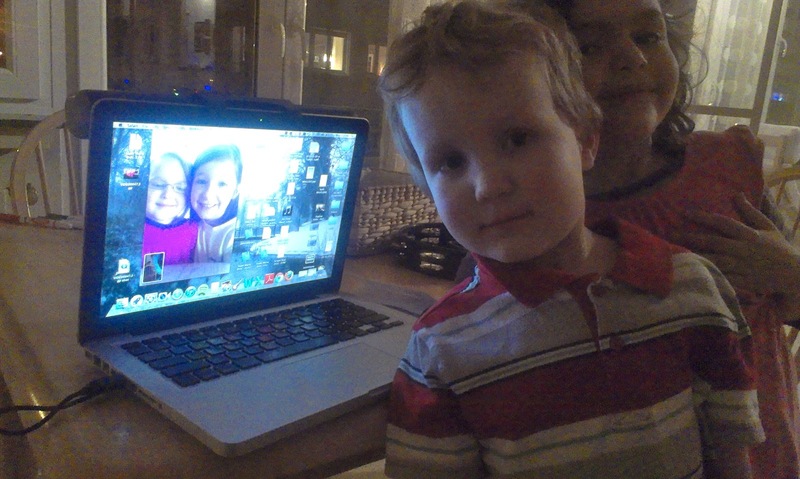 So easy, so fast, and completely worth every penny/Euro-cent. I'm still comfortable relying on willing friends for the occasional ride, but in our situation, we really need a taxi service as part of our backup plan and to not feel guilty about using it (talking to myself here). It's financially-sound and sanity-preseving. Yay. All this to say, I'm feeling much better about the no-car lifestyle than I did a few weeks ago. There are really great, even precious and invaluable aspects to it (which I've highlighted before, but right now I'm especially appreciating the forced fresh air and exercise and that our kids are getting to be such good and tough little European walkers). A car may indeed be in our future, but for now, the no-car lifestyle is looking up! As December rolled on, when people asked what we were "doing for Christmas," I just answered honestly with, "I have no idea, we're making this up as we go!" 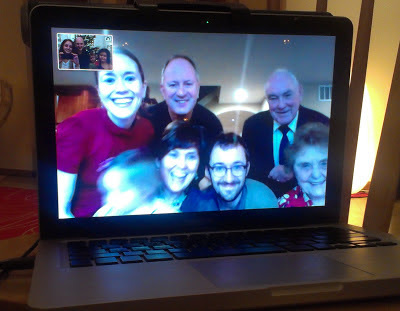 Up until this year, most of our extended family was in very close proximity. We've always spent lots of time together for Christmas and New Years, and that's all we've really cared about "doing" for the holidays - it's our main tradition. Because Christmas is a busy and unpredictable time for Amazon, and because flights are particularly expensive, it seems likely that we will spend each Christmas holiday in Luxembourg (or at least Europe) while we're living here. 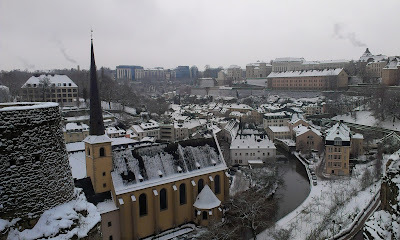 I often struggle with traditions in general (thinking of them, keeping them, caring about them, honoring their importance) yet I felt that whatever we did this first year might in fact "stick" for our subsequent holiday seasons in Luxembourg, somewhat by default. Accordingly, I felt pressure to incorporate some fun, positive activities that would "stick," in part to avoid dwelling upon the fact that we are away from and missing the rest of our family. A constant stream of Christmas music on Spotify provided our soundtrack for December, and I'm convinced that the familiarity of holiday songs played a huge role in keeping us sane and happy. (Well, that and Trader Joe's Spiced Chai Latte mix). The first part of the month was busy with Daphne's birthday party (which we almost cancelled due to illness), plus we hosted a party for Pete's work colleagues, and I hosted one for some of the moms I've met at school. 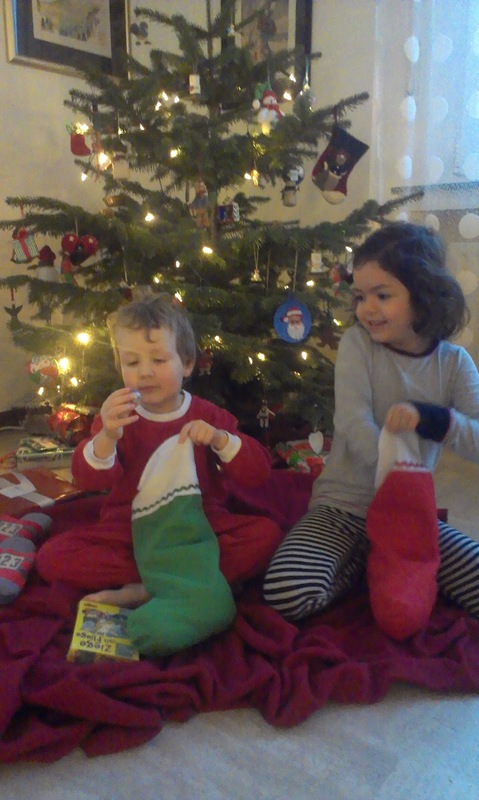 We mailed cards and Christmas boxes to the U.S, and received a slow trickle of cards and gifts from friends and family in the post. The school's two-week winter break corresponded with the school break in the States. Pete worked Christmas Eve, but with a bit of unexpected time off and the public holidays on the 25th and 26th + the weekend + New Year's Day, he had a solid week off to spend with the family. We had thought we'd take a couple of day trips on the train, but with Pete feeling quite ill at that point, we settled in for a quiet couple weeks at home. 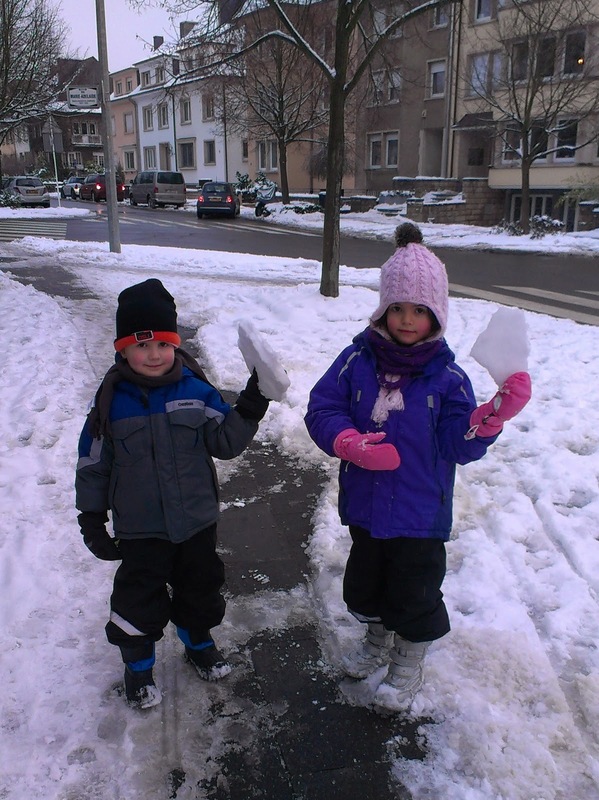 As the first week of winter break progressed, the kids began speaking more and more Luxembourgish to each other. Perhaps they missed speaking it with their classmates at school. We encouraged them to keep it up, and they also gave us some lessons. They made up a game in which they say a word or sentence and Pete and I take turns guessing what it means. Believe it or not, I think we're slowly catching on. If we listen closely, with context, we can often make out what a very simple sentence means. It sounds a bit like "funny English" a lot of the time, and I think it's easier to understand than straight German. Maybe we're growing accustomed to the cadence. Let's see, how else did we pass the time? Well, we spent a lot of time in pajamas (shocking), and playing music (again, shocking) and board/card games. We watched movies in German, Luxembourgish, and English, and ate chocolate. Pete read to the kids from the Chronicles of Narnia. 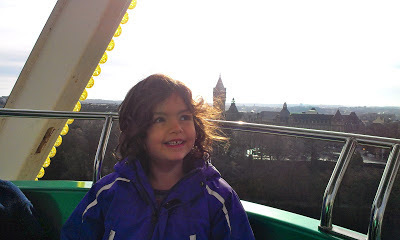 We took walks on the nicer days and even stopped for a ride on the ferris wheel at the Christmas market. 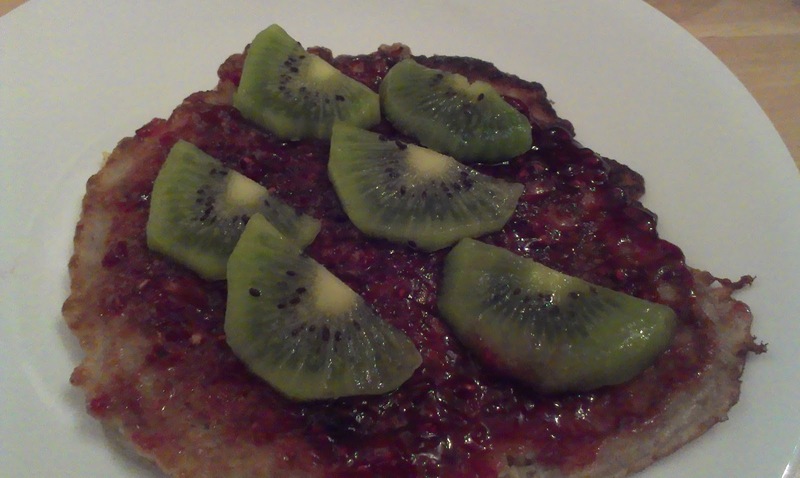 We ate several Christmas-themed meals - which by our definition are random, improvised concoctions that incorporate red and green (anything with sautéed red and green bell peppers, spinach and tomato omelets, pancakes topped with berry jam and kiwi slices...you get the idea). ok, so it looks unappetizing at best, but it tasted delicious! We made good use of the Shop 'n' Go, a gas station market within walking distance, with its extended hours and much more "real food" than a typical U.S. gas station mini-mart. We also ordered in Indian food. I'm betting that tradition will stick. Pete is taking over running our church's music beginning in January, so we spent a lot of time planning and prepping music and scheduling musicians, as well as participating in December church services. One tradition we've never missed since the year Daphne was born is baking and decorating sugar cookie cut-outs. It's practically a family legend that right before she was born, I succumbed to a manic nesting-induced baking frenzy, the result of which was dozens of decorated sugar cookies. 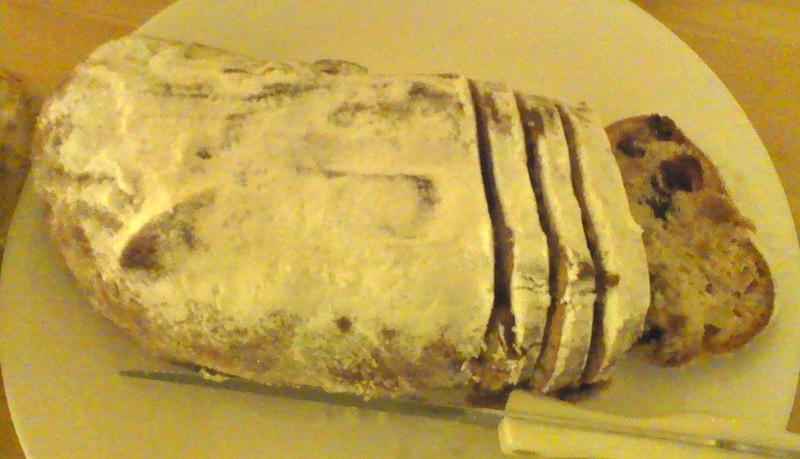 Anyway, for awhile it looked like it wasn't going to happen this year, but upon discovering we kept our rolling pin in the move, we managed to sneak a batch in a few days after Christmas. Whew. We knew video chat would be important this holiday. The kids had a special chat with their good friends on Christmas Eve. Then on Christmas morning they emptied their stockings. Then we waited (quite patiently and contentedly, I might add) until 7pm Lux time when our families back in the U.S. began their Christmas gatherings. 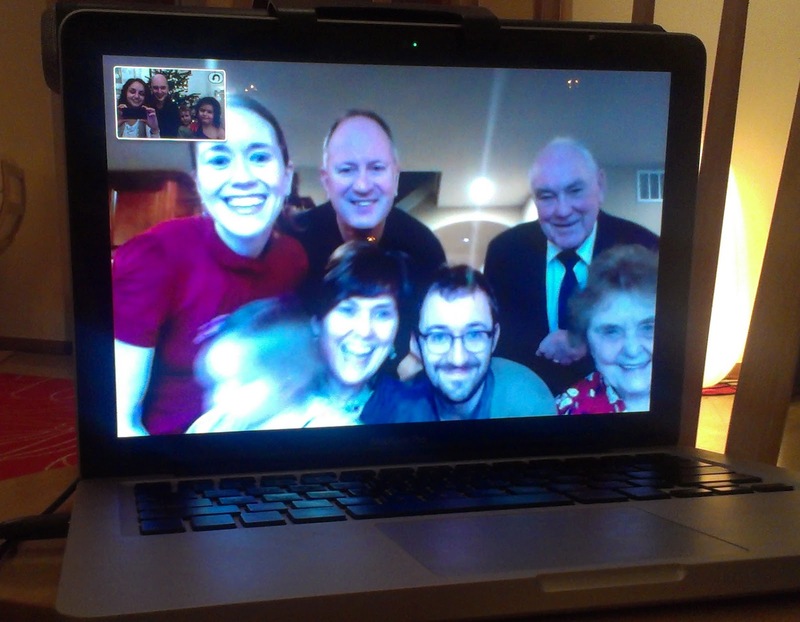 First, we chatted with Pete's side of the family as we all opened our gifts "on camera." After the chat, we broke for dinner (dinner is later all the time - we're turning European!). As a result of poor planning and losing track of time (my fault), we didn't make it to the regular grocery store before it closed on Christmas Eve, so we had to cobble together a Christmas dinner from Shop 'n' Go ingredients. 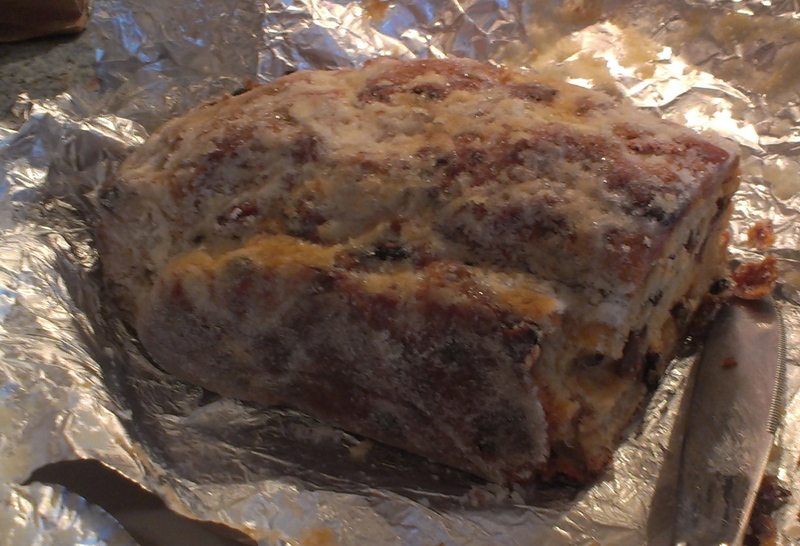 Miraculously, it turned out great, so that may be a tradition that sticks! 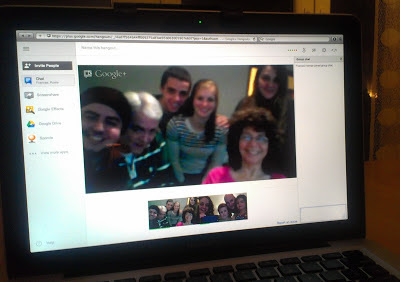 Then around 8pm we chatted with my side of the family and opened our gifts from each other. So, that was all pretty strange, and a bit sad, but still fun in its own way. 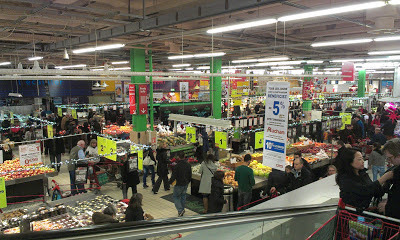 I made another shopping mistake and hit Auchan for groceries on New Year's Eve. Still, we're finding that with Sunday church and limited store hours, we're often stuck shopping on Monday, holiday or no holiday. Daphne was quite upset that that we were alone on New Year's, since as far back as she can remember we've always spent it with friends and other kids. But she rallied. Next year we should really plan ahead to have friends over. This year I don't think we even knew anyone with kids who was still in town and not otherwise occupied with visiting family or plans of their own. This was the first year the kids hit that all-important milestone of staying up until midnight (with a nap beforehand). After a few neighborhood fireworks, we headed to bed. Final reflections: Hmmm. Maybe ask me in a few months. For now, I really am just grateful for our family, our friends near and far, relatively good health, modern communication and medicine, a great place to live, and this world full of fun and crazy opportunities. 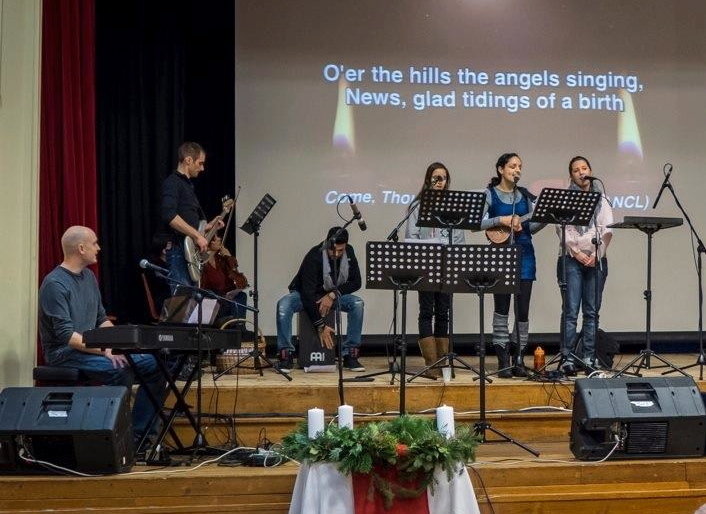 Luxembourg Christmas #1 is in the books! 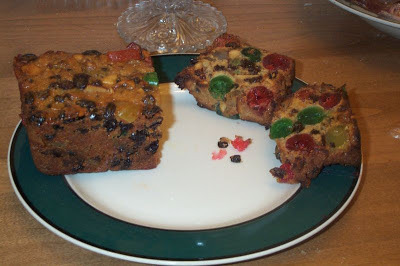 I'd like to do a holiday-recap post soon, but for now I thought fruitcake deserved its own post. As you are probably aware, fruitcake gets a bad rap in the the States, and perhaps deservedly so. 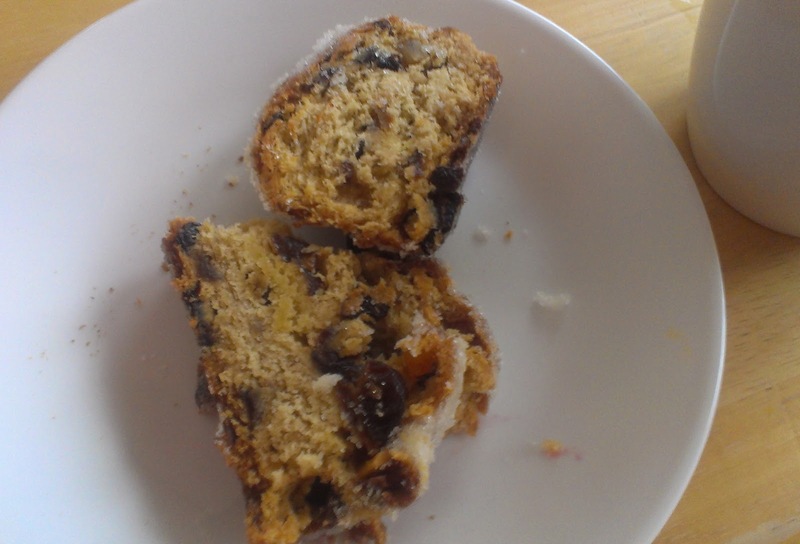 This year, however, we were introduced to the German version of a Christmas fruitcake: the Stollen. 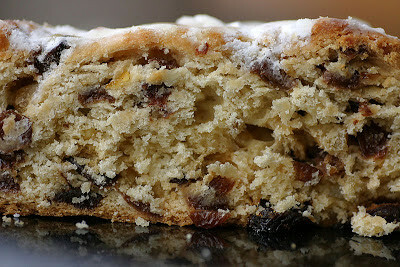 A Stollen, we learned, is coated in powdered sugar or icing sugar, and contains dried raisins and other fruit that have been soaked in rum or brandy. There is also often a sort of "tube" of marzipan running through the loaf. Verdict: the Germans have fruitcake figured out. Yum.